Three militants have been killed by security forces in the Russian republic of Ingushetia. Two of them are believed to be behind the attempted assassination of the Ingush president in June. On Friday, police officers tried to flag down a car in a security check, but the passengers inside began firing at them. 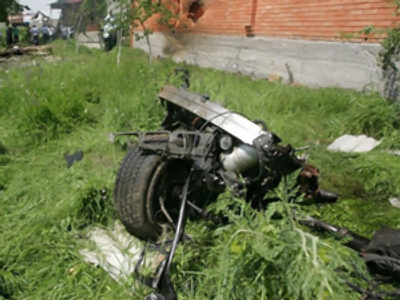 Two militants – Alikhan Dzhantamirov and Zaur Uzhakhov – were killed on the spot, while one was wounded and managed to escape. Rustam Dzortov was found dead early on Saturday with a grenade in his hand 500 meters away from the scene where the incident happened. 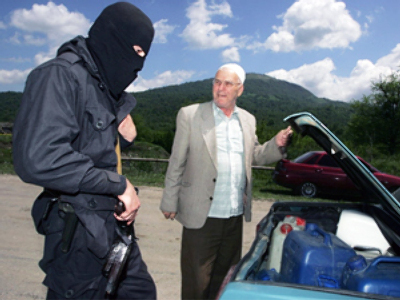 Police say the man had been the head of the militants in the republic and, together with Uzhakhov, was the potential organizer of the car bombing aimed at Ingush president Yunus-Bek Yevkurov. The president was injured in the suicide bomb blast on June 22 and after around two months in hospital he returned to work. The two are also believed to be behind the suicide bombing that rocked Ingushetia’s capital Nazran on August, 17. The blast killed at least 24 police officers and wounded more than 130. The region has seen a surge in militant violence in recent months. Attacks on troops, police and other officials have been reported almost daily in Ingushetia and Russia’s other North Caucasus republics.